I am writing this post after reading the article by Wotan's Krieger on his Aryan Myth and Metahistory Blog on August 28th 2018 - 'The Relationship Between the Gothic Iggws, Yngvi-Frey and Kristos'. I would urge all of you to read this blog post since it is very important. I am not going to go over it because you can see for yourself, but will look at the important points it sheds light on. Basically, the Royal Line of the Swedes was once named the Ynglingas to which Snorri Sturlasson refers to in his Ynglingatal. This work form the first part of the Heimskringla which has been translated into English, leaving out the Ynglingatal which I too find rather strange. Luckily it was translated into German, a language that Wotan's Krieger understands, so he has translated an important part about the 'death' of Ingvi-Frey. It is important to understand that Ingwe was thus a God of 'Peace and Plenty' who was worshipped at a time that this held sway in the North. In times of violence and war the god Woden and the other War-Gods would have been given a higher place since they would be needed for such time. Many scholars do not understand this point and in doing so see one set of gods 'usurping' another set of gods, when the case is probably far more simple - the gods that rule a certain period are linked to the happenings of that time. Wotan's Krieger mentions Thorssons 'The Mysteries of the Goths' where Freyr is said to be the Iggws of the Goths. Somewhere I have seen images of a bracteate engraved with 'Iggws of the Goths' (or something like that). Again, the Goths or Geats were very closely associated with the English Tribes of the North. The most important point that Wotan's Krieger makes is that we can perhaps use the fact that even early Christians associated Ingwe with the new Krist (my spelling since it differentiates between the Judaeo-Christian distortion) to bring 'Folkish English people' who cling to the Christian religion to follow Wodenism. This is one reason why I have used the idea of 'Krist' many times before, and no doubt why German Mystics used this in the decades prior to World War II. Despite the attacks upon those Folkish Heathens who do use this we should certainly carry on and try to do this, since one of the few stumbling-blocks we do have is that more people adhere to this alien-religion rather than seeing anything in Folkish Wodenism. But these people are staunchly English and support the English cause, even though they are still Christians or nominally Christian (many would never even go to church today). To get people to believe in a religion that has been 'demonised', even though it is their true religion, is very hard to do, and as stated by W-K this could be used as a 'bridge' to get over this problem. The fact that the Ynglingatal has not been translated into English is strange, but it is also strange that there is very little mention of links between the Swedes and the Anglo-Saxons. East Anglia was ruled by the Wuffingas who were obviously a Swedish Tribe at the time, or at least dwelt in Sweden. There is also the 'Uffington White Horse' far away in Oxfordshire, named after the 'Uffingas' which is a variation of 'Wuffingas'. And in East Sussex we have the Long Man of Wilmington who was a god named 'Waendal' whose name can be found around Sweden. The Swedish presence here in England has been almost completely discarded! Kristr created the world of old. The rune-name 'Hagall' is obviously the root of the German Mystic's use of the 'Hag-All'. This was obviously an important point for these German Mystics who were well ahead in the sphere of heathenism and the runes than anyone else at the time. I know of nowhere else where Christ is credited with 'creating' the ancient world. Indeed, since the word skop is used I assume this means 'shaped' in regard to the ancient world. The spelling Kristr is used, hence this alternative spelling; interestingly, using English Gematria the alternative spellings 'ch' (3 + 8) and 'k' (11) would both be 11. They are thus interchangeable without altering the meanings. The three runes, Hagall, Naudr, and Is, are all concerned with the cold - 'coldest of grains' (Hagall), 'chilly in the frost' (Nautr) and Is means 'Ice'. This has to be important in some way. The next rune - 'Ar' - mentions the generous Frodi (Ingwe). I have covered the Old English work Dream of the Rood on this blog before; in this a far different 'Christ' is the subject, one referred to as a 'Hero'. 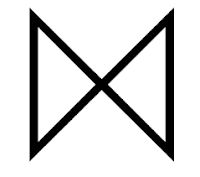 It is thus interesting to note that the Ing-Rune is often given the meaning 'God' or 'Hero'. Of course, Ingwe, as leader of the Ingwaeones, would have been a Divine Hero, and (as Wotan's Krieger mentions) an Avatar or 'archetype'. Since Ingwe and Krist are so similar then it is easy to understand how the English accepted this as their new 'God'. Unfortunately, this would have been a deliberate ploy by the Roman Church to slowly wean the English into worshipping their own alien god-form from the Middle-East. 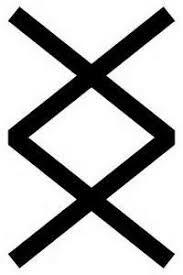 It is made up of two runes - Gyfu & Wyn - which are the two runes we could link to 'Gawain' of the Graal Mythos. Madame Blavatsky, in The Secret Doctrine, says that the ChiRho symbol is that of the 'Skull & Crossbones' which itself is symbolic of the Wild Hunter-God. One of the titles of the Wild Hunter is the Wunsc-Frea or 'Wish-Lord' and this symbol is probably linked to this figure. Again, if we look carefully we find that this contains not only the Gyfu-Rune and Wyn-Rune, but also the Hagall-Rune, better seen in images that have this placed in a circle. Is it thus a coincidence that the Hagall-Rune actually mentions The Krist? 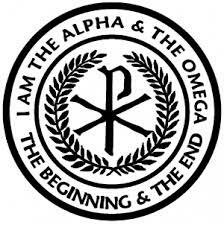 Here, again, we see the ChiRho with the phrase I am Alpha and Omega - The Beginning and the End. I have noted many, many times how this phrase relates to Ingwe and to the 'Age of Ing' which obviously forms the 'beginning and the end' of the Cycle of the Ages. David Lane noted that the first and last sentences in the New Testament, when using English Gematria, add to 88, a significant number as we all know. Indeed, if my memory is right, using Greek Gematria the name of Christ adds to 888. Most depictions of the ChiRho symbol have also the Greek letters Alpha and Omega - the First and the Last or the Beginning and the End. The word haegl in Old English means 'hail' and is thus a play-on-words for the hidden meanings shown above, and the meanings related to its equal and opposite - hael = 'whole', 'wholeness', 'health' and 'The Sun' (Welsh). Putting these together we have the Aryan Krist as the Sun-Hero, the Saviour (who appears at the time of direst need as an 'Avatar'. He is the Heilbringer - the 'Bringer of Hael', thus the links to Frodi, Freyr, Ingwe as the God of Peace and Plenty. Yet, it would be totally impossible for such a figure to appear as a peaceful, meek and week 'saviour' at a time like this, at the End-Time when the Dark Forces are in complete control. This is no doubt why he is 'The Beginning and the End' since in the Dawn Time he would appear as a bringer of peace and plenty but at the End-Time he would appear as a Warrior-Hero to destroy the old and usher in a new Cycle of Ages. Thus the double-meaning of the Haegl-Rune - destruction and recreation. This saviour-figure destroys to recreate or to 're-shape' the world. Thus the 'Krist' of the Norwegian Rune-Poem. It would seem obvious from this that the Hag-All relates to the Aryan Krist and that this figure was formally known as Ingwe - the 'Son of Man(nus)'. This term, 'Son of Man' is very ancient and predates Christianity. Indeed, in Hinduism we find a figure called Vishvakarma who is 'crucified in space', and this is no different than Woden hung upon the World Tree, or Balder-Krist who is also seen hung upon a Tree, pierced with arrows (as is the Krist of the Dream of the Rood), and we find that King Edmund - Last of the Wuffingas - is bound and slain with arrows. In Beowulf we find Herebald (Balder) being 'pierced with arrows' by Heathcyn (Blind Hod). In the Dream of the Rood the Krist is thus likened to Baldaeg the Sun-God, who himself is thus linked to Ingwe. The name 'Vishvakarma', as I have shown before, can be seen as 'vishva-karma' with 'vishva' being very similar to 'Yeheshua' which is the Hebrew name for 'Jesus' ('uishua' would be the pronunciation for this). It seems rather obvious that the name 'Yeheshua' comes originally from Aryan India and was used in the distortion of the Aryan Krist. "The Second Sun appeared as put on his trial, Vishvakarma, the Hierophant, cutting off seven of his beams, and replacing them with a crown of brambles, when the 'Sun' became Vikarttana, shorn of his beams or rays...."
The Secret Doctrine III - Madame Blavatsky. Vishvakarma is, according to Blavatsky's interpretation of the ancient Aryan Texts, the 'Supreme God', the 'Logos' (a word actually used of Krist), and a 'Mystery God' who sacrifices himself for the world, just as Woden sacrifices himself for knowledge to save his Folk and also the world. He is "...the Avatar crucified in space..." (Blavatsky). David Lane suffered as a 'Suffering God' at the end of a world-age and Cycle of the Ages, and here we have a 'Suffering God' in Vishvakarma, a 'Krist', just as David Lane declared himself to be 'Christ'. Because of his Christian stance he is now rejected by many Northern Heathens, and yet there is much to be said of his works, much that has now been put aside and rejected. Miguel Serrano also took a stance on the Aryan Krist as being 'Wotan', 'Balder' and 'Lucifer' (the 'Christ' of the New Testament is the 'offspring of the Morning Star' which is Venus or Lucifer, the 'Light-Bringer'. Miguel Serrano's work is also perhaps underrated and is one of the most important work of our times. The '55-Club' and Joe Sevnson also carries on the theme of Heathen-Kristian ideas. The 'Suffering God' gives way to the "Crowned and Conquering Son of the Sun" - Wid-Ar the Avenger. This is the theme that sets Folkish Wodenism apart from the other Northern Heathen movements, for we see the dire need for the image of a New Aryan Archetype which has to be firmly engrained in the psyche of our Folk. This is the Warrior-God known as Wid-Ar who is said to appear every 26,000 years, another coincidence? We are at the end of a 26,000 year Cycle of the Ages or 'Great Year'. Wid-Ar is Ingwe is Krist! He is the Haeland, the 'saviour', the 'redeemer' of our Folk. The 'White Stone of Ing' and its meaning of the New Age of Ing, and the New God of the Age of Ing. The Black Sun of August 11th 1999 which is related to texts in the Norse Eddas. 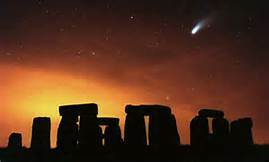 The Flood of Noah and its connection to the Hale-Bopp Comet, the comet linked to the sinking and arising again of At-al-land. The coming of the 'Son of Man' which is Ingwe who is also linked to the Constellation of Bootes, a constellation linked to the idea of 'The Coming One'. Many modern Northern Heathens are locked into the Eddas as the be-all and end-all of Northern Lore; some add the Vedas which is a good start to seeking knowledge outside the Eddas and Norse Sagas. These, of course, are a mine of knowledge and hidden knowledge that has as yet not been fully discovered. But they are not the sole source of our knowledge, and the New Testament has many hidden meanings, some of which have come to light through Wotansvolk (US) and Woden's Folk (England). Jesus Christ is said to be the 'offspring of David and the bright and Morning Star' and it struck me long ago that the name 'Day-Vid' seems to be similar to 'Vid-ar' (Day-Wid-Ar) (*) which may or may not be important. Since the Waene-Gods are related to Venus (The Morning Star) and Ingwe is of the Waene-Gods, then terming these as 'Earth-Gods' perhaps throws one off the scent somewhat. The Morning Star is of extreme importance to Miguel Serrano, and linked (as I have shown before) to resurrection and rebirth. Venus is the 'beginning and the end' since it appears before the Sun at dawn and is the first star (planet) to appear when the Sun moves below the horizon at dusk. 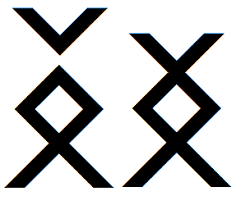 The Ing-Rune can be related either to Bootes following the Waen (Great Bear) or Venus following the Waen (Sun-Wagon). Ing or Ingwe can be linked to both the early Stellar Cults and the later Sun-Cults through this vital rune-poem. In Miguel Serrano's work he stresses the importance of creating the 'Astral Body' which he also sees as the 'Son of Man'. This may not be very clear to some so I am going to try to give my own ideas on this which, I hope, will make things clearer. I stumbled upon an idea in The Secret Doctrine Part III which seems to shed light on this, and that Madame Blavatsky was well aware of this theme. "Consider the first stages of the development of a germ-cell. Its nucleus grows, changes, and forms a double cone or spindle, thus, within the cell. This spindle approaches the surface of the cell, and one half of it is extruded in the form of what we call the "polar cells". These polar cells now die, and the embryo develops from the growth and segmentation of the remaining part of the nucleus which is nourished by the substance of the cell...."
Very scientific, and Blavatsky goes on to mention the aura as being 'egg-shaped' which reminds me of the Hagall-Rune which is a 'grain' suggesting the same as an 'egg'. I am also reminded of the HE/SHE of Miguel Serrano which developed from the 'Primal Egg'. This is obviously the importance of the Hagall-Rune which is the 'All-Rune' and which (as we have seen before) is the 'Seed of Life' from which grows the 'Tree of Life'. This is exactly how Madame Blavatsky describes the appearance of a new Race of Man, through a 'miniature of itself' being 'extruded' from the 'egg of surrounding aura', whence the new growth separates from the parent to form a new species of Man. This has the same meaning (I believe) as the 'Son of Man' in Miguel Serrano's work - the creation of a New Man and a New Race of Man. This is the work of the Aryan Manu who appears to recreate mankind at various intervals of a Cosmic Cycle. The Hagall-Rune is the very central form within the Armanen Runes and also the 33 English Runes, where it forms the 'Seed of Life'. Carl Jung was The Krist as being the 'Soul of European Man' and thus again we see the importance of Ingwe. I have noted before how the IE Root *ingwe refers to the 'groin' and thus to reproduction which itself is related to regeneration and to fertility and virility. (**) It is thus connected to the Vril-Force in some subtle way. Ingwe is the 'God of Spring' when all new life 'springs' out of the cold Earth as the Sun warms it up. Ingwe is the 'Fire of the Sun' which quickens and awakens the Earth at this time. (**) A strange 'synchronicity' happened since I have been working on this article. Some years ago I lost the sight in my right eye which, as a Woden Initiate, I saw as an omen sent from the Gods. I took on the name 'Wulf Ingessunu' (Wulf - Son of Ing) many years ago and have dedicated myself to this god we well as to Woden. Just the other day I went to the doctor's because a swelling developed in my groin area. It turned out to be a hernia, not the type that needs immediate surgery but an Ingui-nal Hernia. I could not reproduce the symbol that Madame Blavatsky used for the 'double-cone' or 'spindle' but it was the Dagaz-Rune shown above but as the 'hour-glass' version turned on its side. We may now be able to see why the Daeg-Rune and the Ethel-Rune can be interchanged, since the Daeg-Rune forms the nucleus of a cell and is the agent of change which feeds the embryo. The Dagaz-Rune represents the 'Dawn' or a 'new beginning' and the Ethel-Rune represents the 'New Man' and the new 'Race-Lands' on which this 'New Man' will appear. Some occultists have postulated that when a new race appears it does so on lands sunken in ancient times. The Legend of Atlantis, in the occult world, has always been the main theme of sinking and arising anew. The Daeg-Rune/Edel-Rune combination seems to show this process in their meaning. Ingwe is Lord of the Elves who are the Shining Ones and who are also immortal, a Divine Race. Now this is very, very important as I am going to show. Pollux is the Immortal Twin in Greek Mythology, and Romulus is the Immortal Twin in Roman Mythology. Pollux is of a 'Divine Race' according to Zeus (The High God) and Zeus gives him a choice of either remaining an Immortal, or sharing his immortality with his mortal brother, Castor, so that both of them can achieve a semi-immortality. They live alternatively, one during the night and one during the day. Is this not the Daeg-Rune in its hidden meaning? The meaning of the name 'Tuisto' (father of Mannus, father of Ingwe) is 'twin' and here we see another link between the Divine Twins, one mortal and one immortal. Even within the Legend of Hengest and Horsa we see one twin that dies and the other lives on and conquers. And is not Hengest the 'Ghost of Ing'? Hengest is yet another Avatar of Ingwe who founded the English Nation here in these islands - again! I have shown long ago how the Divine Twins are associated with the Day and Night and also the Dawn-Time. Castor and Pollux are born of the union of Zeus and Leda, the latter assuming the shape of a White Swan, uniting herself with the Divine Swan. The sister of Hengest and Horsa has a name meaning 'Swan' - is this again a coincidence? The Swan, in many Aryan Legends, is the Divine Bird that lays the 'Golden Egg' and in the Primal Rune - Feoh - we find the secret of 'Jack and the Beanstalk' where Jack 'steals' the 'Golden Egg' of the Ogre (Og). This 'Golden Egg' is connected to the 'egg' mentioned by Madame Blavatsky and it is also connected to the Hagall-Rune and thus to Ingwe-Krist. The one thing that is glaringly obvious is the connection between Krist and the English Folk, and the appearance of the Last Avatar here in England is underlined through the obvious connection between Bootes (Ingwe) and the 'The Coming One'. Bootes, and its 'diamond-shape', which two Roman historians described as the shape of England in ancient times, is thus symbolic of England, out of which will arise the 'Coming One' or Haeland. This, of course, is the 'Second Coming' known to the Christian Church, but distorted into the coming of a 'Messiah' of the Middle-East. The truth can always be found within the lies propagated by the Counter-Initiation, as I have stated before. And, finally, there is something that clearly now demonstrates the importance of the English Folk and of England as the place where the Last Avatar will appear, and seems now proof that what I have said all along is right. The Dark Forces have obviously set out to destroy the English Folk through the policies it has fed through the 'Servants of Darkness' who hold power, and the 'White Traitors' who have betrayed their Folk to them. We are not the only ones, and the nation they have since begun to destroy is SWEDEN - is it thus a coincidence that in the Ynglingatal (translated by Wotan's Krieger) Freyr (Ingwe) was the builder of the Temple of Uppsala, and that when he died he was buried in a mound, presumably at Uppsala. I have heard that the area of Uppsala is now a target for being ruined, or at least the magico-mystical air is being destroyed. 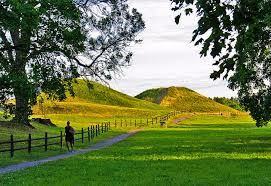 Uppsala is the centre of Heathen Worship in SWEDEN. We must give our full support to the struggle that the Swedes are undertaking in their land, a land which has seen forced change imposed upon it far quicker than we have had here in England. England was obviously an 'experiment' to see what happens with mass immigration and how it could be used for the agenda of the Dark Forces. The destruction of the Swedes and Sweden has come far quicker and seems to indicate that a swift destruction is needed in order to destroy the Inglinga - 'Sons of Ingwe'. It reminds me of the 'Massacre of the Innocents' that preceded the appearance of the Krist! we can perhaps see why the Ynglingatal has never been translated into English, to hide the connection between the English and the Swedes. (an Othling who), and Ylfing who." Thence the Othlings, thence the Ynglings." Here we can surmise from the texts that the 'Ynglings' and the 'Ylfings' are in fact interchangeable - the Inglingas and the Wulfingas. In the same Lay of Hyndla we find that Ottar (the subject of this text) is the son of Innstein and Hledis, the latter being the daughter of Frodi. Thus Ottar is descended from Ingwe on his mother's side. Going back to what I have written before, that the Divine Twins (in this case Castor and Pollox) were the offspring of Zeus (The High God) and Leto (a Goddess) we find that in Atlantis of the North Jorgen Spanuth equates Leto with Hledis, the name having the same root and origin. In fact the name 'Hledis' would be '(H)led-dis' the word 'dis' referring to a Divine Being. We are back to the link between Ingwe and the Divine Twins. Veggdegg - Vitrgils - Vitta, father of Hengest/Sigar, father of Svebdegg (Svipdag) - East Saxony. Beldegg (Baldr) - Brand - Frodigar (Frodi) - Freowin, Wigg, Gewis (Gavir) - Westphalia. Siggi (Sigi, son of Rerir) - Francland (Wolsungas). Skiold - Fridleif - Skioldungs - Kings of Denmark and ruler of Reidgotaland (Jutland). Sweden - Odin set up a system based upon that of Troy. He set over this land a son named Yngvi. Thus we have six 'Sons of Odin' who ruled over the areas known as Saxony, Francland, Denmark, Sweden and Norway, and all of these areas were linked through these High Dynasties. Note that here Beldegg (Baeldaeg) is shown as the grandfather of Frodi, and yet in Sweden Yngvi (seen as a different person) is the son of Odin. It is also interesting, in view of my earlier post on the archetype of the Fall of Troy connected to Ragnarok, that the early Swedish system, under Yngvi, was based upon the ancient system of Troy. It is also interesting to note that Reidgotaland became 'Jutland' thus suggesting that the 'Jutes' and the 'Goths' were one and the same people. We should also note that many Germanic Mystics equate the word 'Got' or 'Goth' both with 'God' and with 'Good'. These were obviously a Divine Race. The name Gewis gives us the Gewissae who, as I have shown in another earlier post, were the Wise Ones. That there was a very early presence of the Inglingas here in England is shown by the name Tegeingl (***) of the tribe first seen in Ireland and then moving over to North Wales (Gwynedd) and Anglesey (Angle's Island). That these were led by the 'Druids' who were ruthlessly oppressed and slaughtered by the Romans underlines the importance of these peoples here in ancient times, and that the 'Sons of Ing' were originally a Divine Race descended from the 'Shining Ones' (Elves). (***) The word uses the root 'Ingl' rather than 'Engl' which was a later rendering of this, developing into 'Englefield' where these peoples finally settled. "The five trilithons are the twin symbol which also appears on Scandinavian rock scribings and which was used in Greece as a symbol of the Dioscuri. Most probably these five trilithons represented five pairs of twins." Here we have yet another connection to the Divine Twins. We also have the connection between the 'Five Twins' and the Legend of the 'Ten Kings of Atlantis' (At-al-land). We also have the clear indication from Diodorus Siculus describing an account by Hecataeus (around 500BCE) that 'beyond the land of the Celts (most likely Gaul) 'there lies in the ocean an island....inhabited by the Hyoerboreans...' This legend has it that 'Leto was born on this island' which is why 'Apollo is honoured among them above all gods...' Now, Apollo is the Germanic Pol which is another name for Baeldaeg, and he is honoured in many names throughout England, a fact that suggests these may date from a very early time. The 'sacred precinct of Apollo' would be Stonehenge, since this is aligned with both the Summer Sunwend and Winter Sunwend. Why is it that these things have been completely ignored by establishment scholars? Leto is the Cleito of Atlantis and the Hledis of Norse Mythology; Hledis means 'Glory-Dis' which is obviously a title and not a name. Thus, the Goddess Hledis (Leto/Cleito) is connected to At-al-land. Spanuth mentions that the 'northlands are called 'Atalland' and the sea 'Atle's Path', and variations to this name are 'Atland' (Oera Linda Book), 'Adalland' and 'Oatland'. Cleito was the child of Evenor and his wife Leucippe and from these sprang five pairs of male twins. The sea-god Poseidon is associated with Atlantis, and according to Spanuth Poseidon is Forseti of the Frisians. Forseti has the same characteristics as that of Poseidon - axe-god (an early Thunor), Law-Master, High Judge, saviour from dangers at sea (these of course were 'Sea-Peoples'), and Waker of Springs. To him the Pillar and the Axe were sacred symbols. 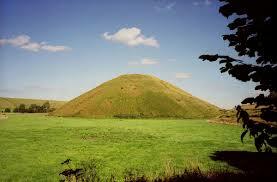 Spanuth mentions the Glasberg which is the 'Shining Mountain' akin to Mount Meru of the Hindus. This Sacred Mountain lies under the Pole Star. 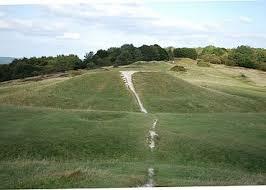 We have our very own 'Glasberg' here in England - Glastonbury ('Glas-ton-burg'). Although Spanuth claims Atlantis to have been situated around the area of Heligoland, there is no reason to doubt this and also believe that these islands also formed part of the lost land of At-al-land. These areas were populated, or at least ruled by, the Royal Lines of the Inglinga. The road to immortality and to the creation of the 'Son of Man' lies within the power of Ingwe as the Fire-God and Divine Ancestor of the English Folk - the Inglingas. The Dark Forces are today hell-bent upon the destruction of the English Folk and of the Swedes which can be no coincidence (although all nations are affected by this). This is why the Ing-Rune is shaped as the DNA Spiral, for 'Ingwe' (The Inga-Fire) dwells within the DNA ready to be awoken by spiritual training and warrior-hood. The above is from the Volkische-Runes blog of Runebinder, showing 'The Hooded Man' (Edel-Rune) with the 'Crown' (as the 'Crowned and Conquering Son of the Sun'). All of these concepts are contained in the Ing-Rune whose secrets are coming to light. This is made up of two Gyfu-Runes which is interesting in view of everything that has been said in this post. War between a people, a nation, destroys that people, that nation; peace has to be created in order that a nation become whole again, becomes heil, becomes healed and a healthy people and land. This is the 'Peace of Ing' who can unite our Nation and Folk. The star-positions of August 11th 1999 showed the gestation of the New Age - the Age of Ing (they made the Germanic Ing-Rune in the skies). Ing is the God of this New Age, the new Aryan Archetype who is Wid-Ar the Avenger. Wid-Ar is the Son of Woden and Grid - the son of God and Earth. More so, Grid is linked to the 'National Grid' which is symbolic of the powerful Holy Lines that criss-cross this ancient land, once known as 'Elan' which is the Power of the Land itself - Sovereign in certain Celtic Texts. Woden (God) is wed to Grid (Sovereign) and their 'son' is Mabus ('son of') whom we call Ing ('son of'). Both the Germanic and Celtic Texts are the same, for they were the same people, despite the historians distortions. Ing or Mabus is the Divine Hero who brings into being a New Order. He is the God of the New Age of Ing. The 'Gift of Ing' - a concept found in the Ing-Rune, the Edel-Rune and the Gar-Rune, as well as the Holy White Stone of Ing, is thus this secret of the Path to Immortality found in the figure of Ingwe. This is the Age of Ing and we are being guided in this Aryan Destiny by Ingwe who awakens the Fire-Serpent which moves upwards to the Realm of the Gods, creating the Man-God ('Son of Man') in the process. The movement (as Serrano tells us) is upwards through the Black Sun (The Void - Sunya) and the Green Ray of Venus. Prior to this stage the symbolism is of the White Swan of Thule which we have seen produces the 'Golden Egg'. As Madame Blavatsky pointed out, this 'egg' is the 'aura' (Astral Body) which is the key to the creation of the New Man.